Get inspired for your home or office or let us assist you in finding a film to spec on a project. 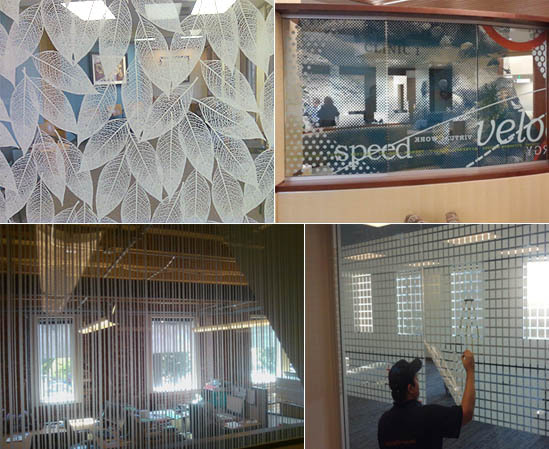 Create privacy through distinctive decorative / designer window tinting films and graphics, privacy on conference glass, side lites, and glass partition walls. There are hundreds of designs and patterns to choose from! ABC Sun Control specializes in Seattle WA Solyx Decorative Film.